Digital multimeters are one of the most important components of an electrician’s tool kit. They offer a wide range of functionality and allow you to determine what’s going on in your electrical system very quickly. More importantly, they offer a reliable means to determine the absence of voltage, which is an electrician’s most critical step to ensuring their safety. What are the dangers of digital multimeters? What most people don’t realize is when electricians are performing that ever crucial step of determining the absence of voltage they are actually at increased level of risk of causing an arc flash or getting a shock. Think about it, in order to complete the test, an electrician has to come within inches of potentially energized circuits parts, and touch those circuits parts with two probes that are about the size of a pen… that doesn’t make me very comfortable. There have been a number of cases over the years where something has gone wrong during the testing phase and someone has been exposed to a serious arc flash event or shocked. Many electrical incidents have occurred while qualified electrical workers were using a digital multimeter or test instrument. Shock hazards can occur if the meter and test leads are not properly maintained. 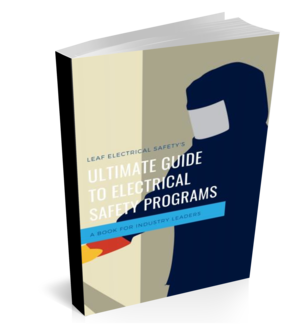 Arc flash can occur if the meter is not properly rated for the voltage, the meter is exposed to transient voltages outside of its operating conditions, or because of defective parts or components. Let’s look at some of the possibilities that are out there and what we might do to ensure they don’t happen to us or the people we work with. Voltage transients are just a fancy term for voltage spikes. Occasionally the voltage on a 480-volt system can find itself all the way up to 8000-10,000 volts! Often, within a plant, these overvoltages can be generated by motors, capacitors, and variable speed drives. Lighting strikes on outdoor transmission lines is also a highly probable cause for a voltage transient. This is why it’s so important to make sure you have purchased a digital multimeter with the proper category rating for the work you are performing. How do these categories work? Imagine lighting strikes the transmission lines outside of a factory. The transient voltage will travel through the utility connection into the facilities three-phase power distribution, down to the single-phase circuits, and eventually to the electronics in the offices. As the spike works its way through the system it is being continually reduced until it becomes negligible. Each multimeter category is based on the amount of power available at each of these locations. If you want to get a better understanding of these categories, here is a great article from Fluke. The bottom line is to ensure you have the proper category meter for the job. There are two major factors in choosing the correct meter for the job, voltage level and category rating. This goes for the test probes being used as well. The voltage level is straightforward. Do not use a meter/probes rated less than the voltage of the equipment being tested. The meter/probes can explode and cause an arc flash. Category rating refers to the magnitude of transient overvoltages (described above) that the meter/probes can withstand. Proper category rating is based primarily on the location of the equipment in proximity to the source (as transients will be minimized as system impedance increases). Typically, the closer to outside the higher the category rating required. · CAT IV Three-phase at utility connection, any outdoor conductors. While performing tests with your multimeter rubber insulating gloves should always be worn, but safety is about layers of protection, and one of those layers is the probes themselves. The insulation on the probes should be checked for any signs of deterioration or cracks to ensure you have full protection from a shock. You should also check that the meter is in good condition and working properly. Hand-to-hand shock incidents are the leading cause of electrician death undoubtedly because of the pathway for the current travels through the heart. · When the probes are plugged in they should feel secure and strong. Solution: Use meter’s continuity function to check internal breaks. This may vary from meter to meter so be sure to read your manual! But for the most part, this is how it is done. And what can you do about it? Either hire all robots or increase the amount of training you do. You might not think that training on how to use a multimeter is something you need to consider when dealing with qualified electrical worker but it’s really training them on the seriousness of what could go wrong that’s important. Over time, as long as nothing ever goes wrong, complacency will set in. Here are just a few of the oversights and mistakes that are common among electrical incidents involving digital multimeters and electrical testers. A common error made during voltage measurements is leaving the meter on the ohms setting. Some older style meters cannot handle the voltage when set to ohms. This can lead to the meter sparking or worst case blowing up. Often it’s not the meter exploding that causes the greatest damage to a worker but this explosion will initiate a greater explosion inside the equipment where the worker is performing the task. When switching from measuring current to measuring voltage it is easy to turn the dial from the “V” to the “A”, but something that often gets overlooked is changing the probes to the correct socket. Some meters are smart enough that they will beep at you if you forget to switch the probes but those that do not can create devastating results. Effectively the meter becomes a dead short and when put across 600 volts the ensuing arc flash can be lethal. The story of Eddie Adams is an example of what can happen when a multimeter is used on a circuit that has a higher voltage than the rating of the meter. Essentially, Eddie used a 1000-volt meter on a 2300-volt system. Maybe he was in a hurry, maybe he was tired or maybe he was just having a bad day, but for whatever reason, Eddie’s story shows that you need to take the time to ensure you have the right tool for the job. When Eddie put the leads across the 2300-volt system, the meter could not handle the stress it was under and initiated an arc flash which Eddie did not survive. Digital multimeters are a critical part of an electrician’s protective equipment and should be treated that way. They must be used to determine the absence of voltage and doing so can save someone’s life. But they do come with their own level of risk and each of the examples above should be understood and discussed by electricians to ensure their safety. if you have any questions about electrical test procedures.